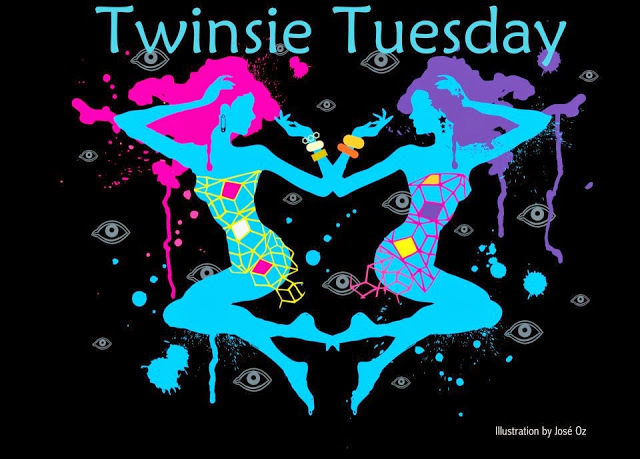 Per lo speciale di Natale del gruppo Twinsie Tuesday sono totalmente in ritardo! Tra il mio compleanno e il Winter Nail Art Challenge le nail art si sono accavallate e veramente ho rischiato di presentarmi al pranzo di Natale con la manicure da rifare! Per lo speciale di Natale ho deciso di pubblicare la mia nail art natalizia dello scorso anno, in attesa di mostrare la mia scelta fuori dall'ordinario per il 2015! Come base ho usato uno smalto semipermanente color oro, reso ancor più brillante da un top coat glitter. 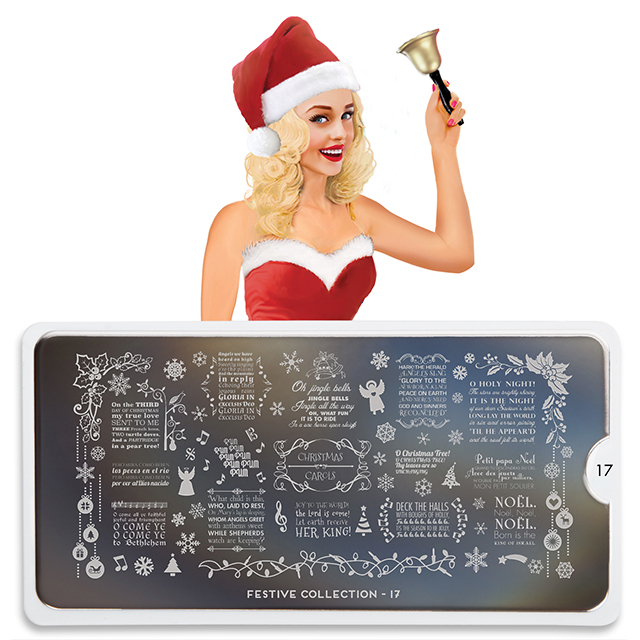 Sopra ho stampato in nero i testi dei canti di Natale e l'angioletto dal disco MoYou London Festive Collection 17. 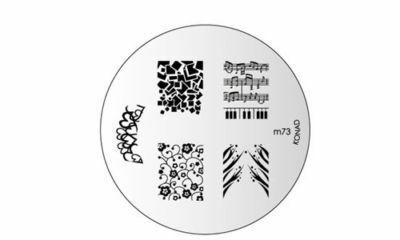 Per le altre unghie invece ho scelto dal disco Konad m73 le note musicali. Per completare tutto ho applicato con il top coat un cuoricino rosso. Buon Natale e grazie per essere passata anche oggi! Non dimenticare di andare a vedere cosa hanno realizzato le altre Twinsie per Natale! I'm late for the Holiday Special of Twinsie Tuesday Group! This week I've had my birthday and some manicure for Winter Nail Art Challenge to do and I am really likely to go to Christmas lunch with no manicure at all! 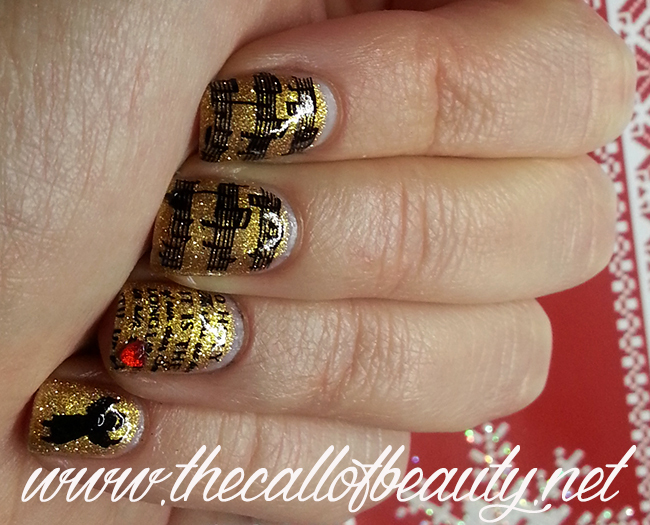 So for this special I decided to publish last year Christmas manicure, waiting for showing the 2015 one! As my base I used a gold gel polish with some gold glitter on top. 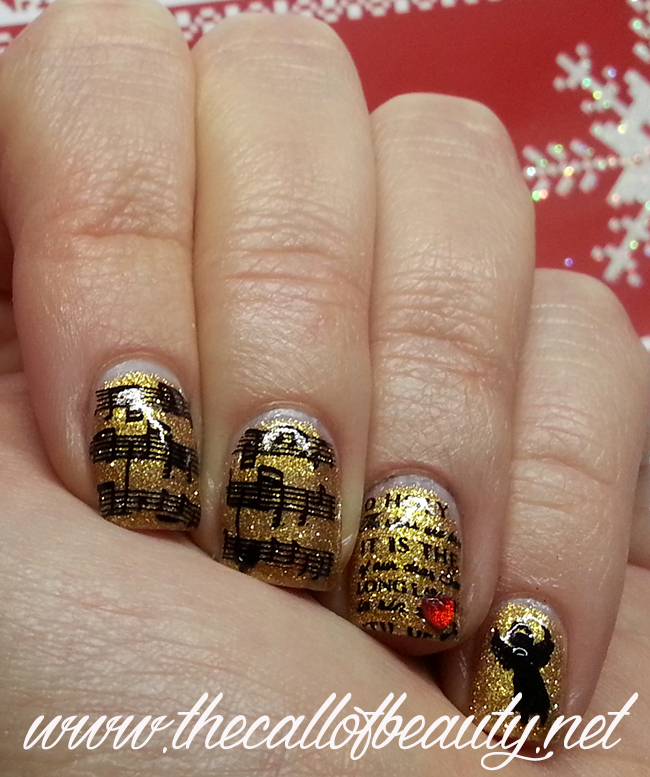 Then I stamped in black the Christmas Carol lyrics and the angel from MoYou London Festive Collection 17 plate. 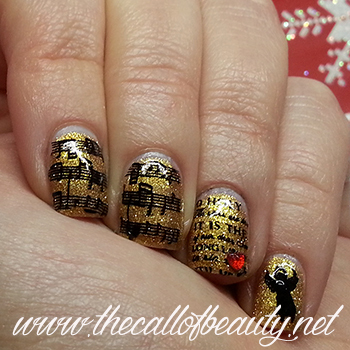 For the rest of my nails I chose the notes from Konad m73 plate. To complete my nail art I applyed a tiny red heart with some top coat. Merry Christmas to you and thank to have time for stopping by today too! Do not forget to see other Twinsie Girl manicure for holiday! Thank you Lisa, happy Christmas to you and to your family! Grazie cara, auguri e grazie per essere passata anche durante le feste! Thank you Colourman, you are so kind to me! Hi Julia, thank you for stopping by!